Though still on the rise, trade sanctions and tariffs are likely to throw up a roadblock to aluminium demand growth in the coming year. Such is the opinion of Norwegian aluminium smelter Norsk Hydro ASA as expressed in comments by President and CEO Svein Richard Brandtzæg earlier this week. 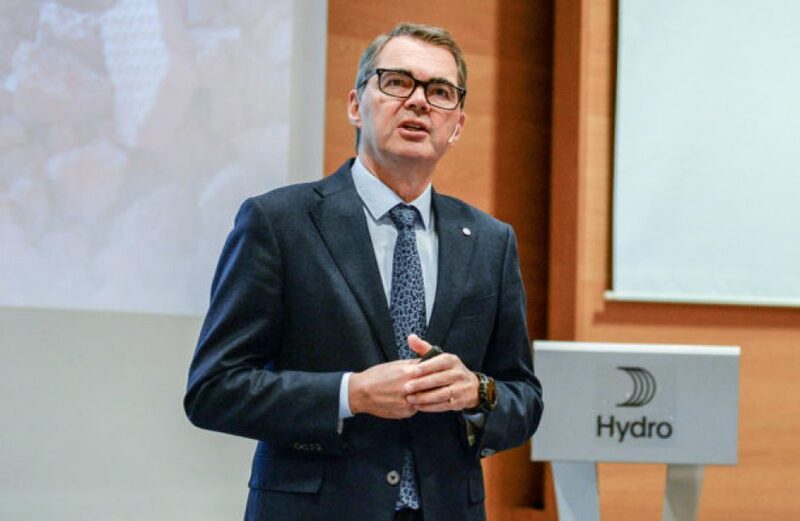 During Hydro’s Capital Markets Day 2018, Brandtzæg indicated the firm’s projections for growth in 2019 to be in the vicinity of 2 or 3 percent, down from a predicted 4 percent this year. Primary aluminium production will still not match demand, per Hydro, as it expects to carry a market deficit through next year. Demand is likely to hold steady at between 2 and 3 percent per annum for the next decade, as demand growth for semis is predicted to reach 3 percent. Aluminium recycling is expected to grow between 3 and 4 percent per year during that time. Addressing the situation at Alunorte, Brandtzæg said that a firm timeline for reopening the plant has yet to be established. Operations at the world’s biggest alumina refinery have been running at half capacity since early this year, when flood rains raised fears of a breach of the plant’s wastewater storage area. To date, no such releases have been identified, but the state and federal governments continue to compel restricted output at the site. “All in all the situation at Alunorte is impacting us heavily. If we go back to full production that will change,” he explained. Brandtzæg continued by noting that a full re-start at Alunorte ultimately depended upon approval from Brazilian administrative and judicial authorities.